Nevis Cottage, the larger of the two is on the right and Cruachan Cottage is on the left. These family friendly cottages were built in the 80's in a traditional "but-and- ben" style to match the landscape. On the seaward side, you can sit outside in seclusion and admire the magnificent views towards Ben Nevis. It is ever so quiet and peaceful. You may see otters from your window and there is a seal colony nearby. Dolphins occasionally visit and swim with the ferry as it passes by. We are very keen to help you enjoy your holiday. Reception is a great source of brochures, guides and maps and we will gladly advise on all the things to do and see on Mull. 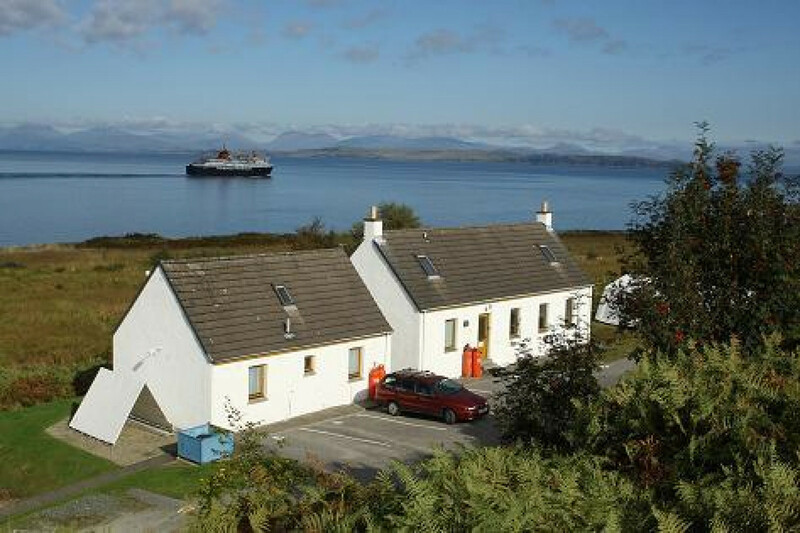 Stroll to the ferry, pub, cafe, shop and Post Office, tourist information centre, and buses for Tobermory and Iona (or Staffa boat trips). Glorious walks to the swimming pool or Duart Castle. Pony trekking and 9 hole golf are close by. An ideal base for exploring the whole island. On the landward side, there is parking by your cottage, with access to campfire, swing, sandpit, Shieling Common Room and Games Shieling with a pool table and table tennis. Dogs welcome, on lead on site, but off lead along the enchanting coastline or local forestry walks. 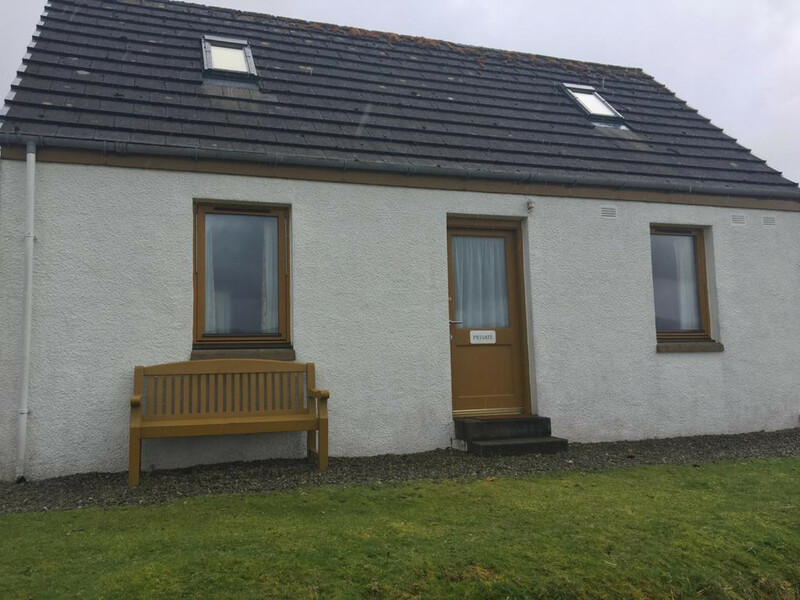 Nevis Cottage sleeps up to 4, with a large double bedroom and a double sofa bed in the living area. There is an open plan living/dining/kitchen with multi-fuel stove, TV and music centre. There is a walk in shower, gas CH and free Wi-Fi. The kitchen is fully equipped, complete with everything you need for a home from home holiday. Nevis Cottage is only available from Easter until August. To request a booking with us, please complete our Booking Enquiry form by clicking the blue button below, then you can look forward to all of this and more. Escape to a better world! Cruachan Cottage sleeps up to 4, with a double bedroom, a twin bedroom and shower room. There is a kitchen/living area with comfortable seating and dining table for four people, as well as a TV and free Wi-Fi. Heating by storage and panel heaters. The kitchen is fully equipped, complete with everything you need for a home from home holiday. Cot and high chair can be requested free of charge, if available. 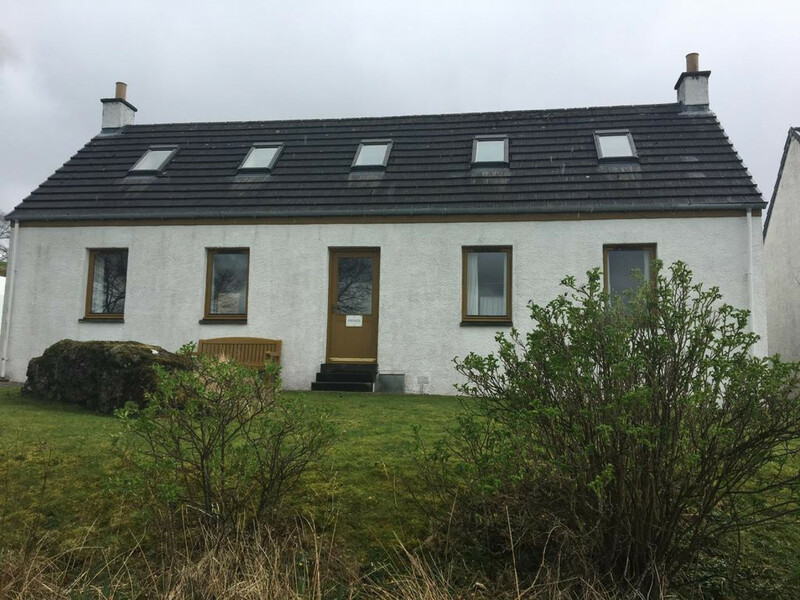 Cruachan Cottage is available to rent all year round.